Laboratory involved: Epidemiology and Population Biology and Immunology laboratories. Sheep immunology and immunogenetics, defining immune mechanisms, immunogenetics of the ovine major histocompatibility complex (MHC), MHC genotyping methods and development of MHC defined antigen presentation systems. Focus on molecular and cellular immunology in sheep. Virology, bacteriology, parasitology and epidemiology of infectious diseases of sheep. 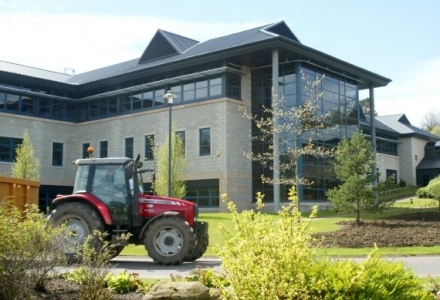 Purpose built, large and small animal care, handling and laboratory facilities including Cat 2 and 3 laboratory infrastructures on the Pentlands Science Park Site. Linked laboratory facilities specializing in Molecular Biology, Immunology, Parasitology, Bacteriology, Virology and Epidemiology. Expertise and support from senior research scientists and support staff with associated bioinformatics, computing and library facilities. The unique resource offered by MRI is the MHC-defined research sheep flock with specific application to the analysis of T cell-based immune effector mechanisms, MHC genotyping, immunological analyses and immune reagent development. Technical support and consumables up to 2500€ will also be provided per unit of access. Travel, accommodation and subsistence up to a maximum of 6000€ per unit time. All experimentation involving animals has to be covered by UK government home office regulations including project and personal licences and individual experiments have to be evaluated and approved by the MRI Experiments and Ethics Committee. Ovine trophoblast is a primary source of TNFalpha during Chlamydophila abortus infection. Wheelhouse N, Wattegedera S, Stanton J, Maley S, Watson D, Jepson C, Deane D, Buxton D, Longbottom D, Baszler T, Entrican G. J Reprod Immunol. 2009, 80:49-56. Genomic organisation and allelic diversity within coding and non-coding regions of the Ovar-DRB1 locus. Ballingall, KT, Fardoe, K, McKeever, DJ. Immunogenetics, 2008, 60:95-103. Genetic and proteomic analysis of the MHC class I repertoire from four ovine haplotypes. Ballingall, KT, Miltiadou, D, Chai, ZW, Mclean, K, Rocchi, M, Yaga, R, McKeever, DJ. Immunogenetics 2008, 60:177-184. A current perspective on availability of tools, resources and networks for veterinary immunology. Entrican G, Lunney JK, Rutten VP, Baldwin CL. Vet Immunol Immunopathol. 2009, 128:24-29.